It’s been all over the news that it’s not fat that clogs your arteries and leaves the fatty deposits, it’s sugar. My fiancée has been trying to convince me for months that I’m addicted to sugar and I need to cut down. 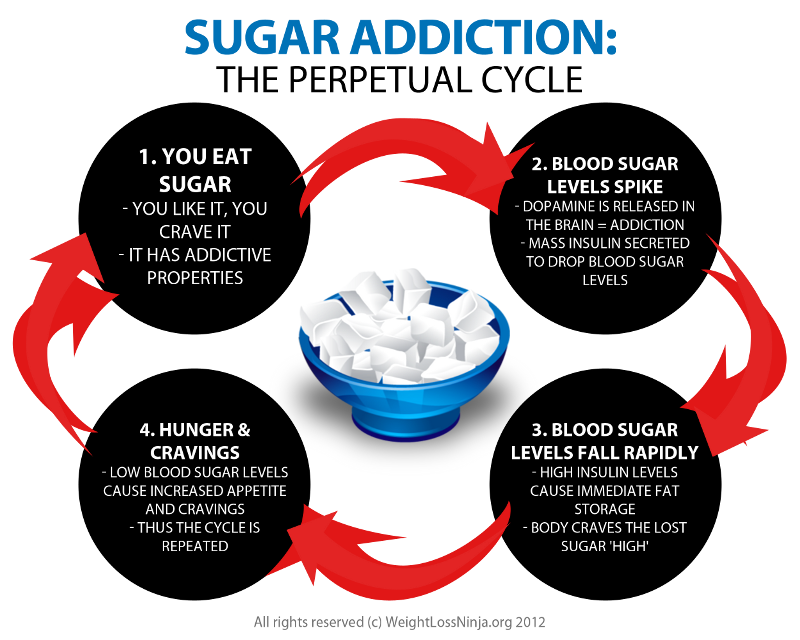 Having just read about sugar addiction on the Internet I’m inclined to agree. The experts are reluctant to compare sugar addiction with other more notable addictions but I’m going to give it a go. 1. I hide chocolate from my significant other. You probably have to hide stuff from your kids so they don’t scoff it before you can. I have to hide my snacks so she can’t gauge how much I have in stock. 2. I buy her sweets to make it more acceptable for me to eat them when we are together. 4. Combine points 2 and 3 together to say I buy sweets for my Mrs in order to lessen the expense of my own habit whilst making my habit more acceptable in her eyes. Devious, I know. 5. Lack of sugar makes me go on a roller coaster of emotions from spaced out to angry! 6. Too much sugar makes me go on a roller coaster of emotions from spaced out to angry. 7. I once ate half a terry’s chocolate orange, arranged it back in the packet so it looked whole still to buy time before replacing it with a new one and hiding the evidence by scoffing it! So yeah. I’m cutting down on sugar. But slowly. A little at a time. It’s dangerous to go cold turkey. So far I’m down to one sugar in my coffee and less chocolate per day. I hope we’ve all learned a lesson today. Now, where did I leave those sweet, sweet grapes?